You're at the mountain to ride, not fuss with your equipment. 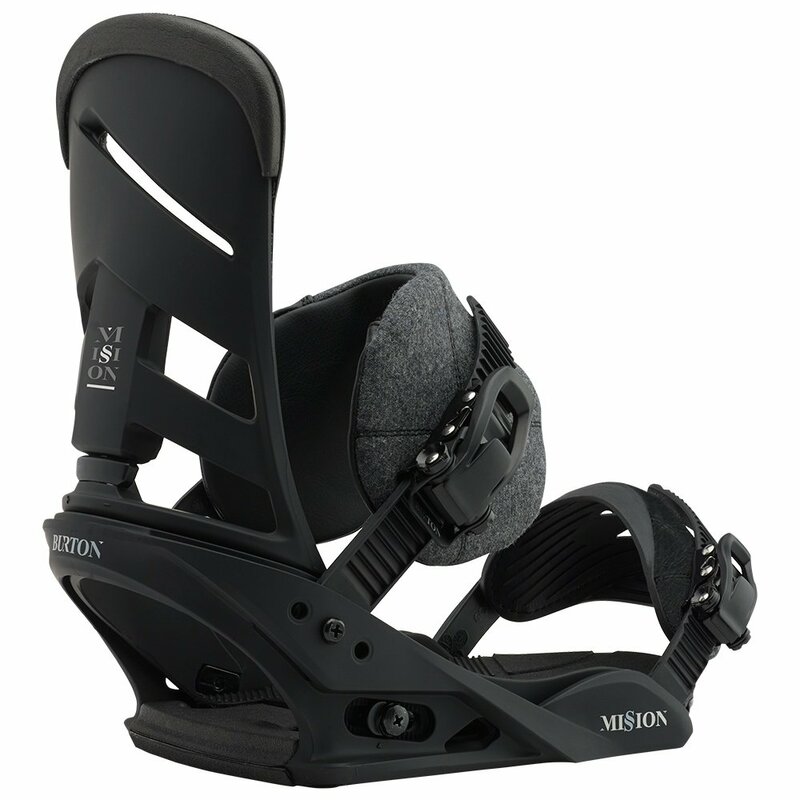 So bolt on the Burton Mission Snowboard Bindings and get performance you can count on from the lightweight and highly customizable bindings. The Reactstrap™ around your ankle is pre-curved for an improved fit even the first time you wear them, and it's padded using special EVA foam that stays plush and comfortable even when temperatures drop. Best of all strapping in at the start of a run will take even less time now thanks to the Flex Slider built into the ankle straps, which allow them to fall open so you won't have to pull them out of the way to step in.